Bodyguarding had never made it to Manchester PI Kate Brannigan’s wish list. But somebody’s got to pay the bills at Brannigan & Co, and if the only earner on offer is playing nursemaid to a paranoid soap star, the fast-talking, computer loving white collar crime expert has to swallow her pride and slip into something more glam than her Thai boxing kit. Star Struck is Val McDermid at the top of the ratings. McDermid combines her wit and exuberant writing with a careful and clever plot and oodles of perceptive social observation. 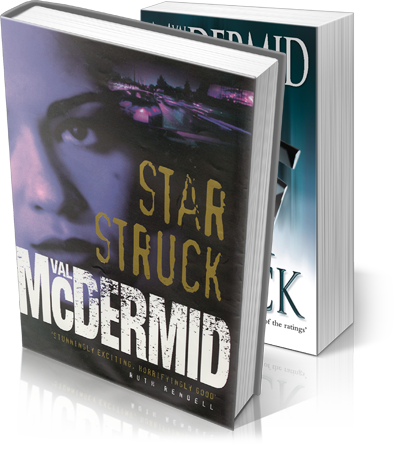 Written with fluent ease, making use of Kate Brannigan’s own distinctive voice, Star Struck is a clever novel as well as an entertaining one. Kate Brannigan has turned into the most interesting sleuthess around. Val McDermid gets better and better. Kate Brannigan should remain firmly at the top of the private investigator’s league.